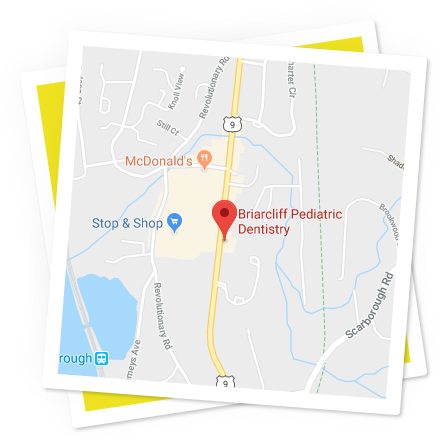 Q: Why See a Pediatric Dentist? A: The initial growth period for primary (baby) teeth begins in the second trimester of pregnancy (around 16-20 weeks). During this time, it is especially important for expectant mothers to eat a healthy, nutritious diet, since nutrients are needed for bone and soft tissue development. A: Primary teeth, also known as “baby teeth” or “deciduous teeth,” begin to develop beneath the gums during the second trimester of pregnancy. Teeth begin to emerge above the gums approximately six months to one year after birth. Typically, preschool children have a complete set of 20 baby teeth – including four molars on each arch. Q: When Should Children Have Their First Dental Visit? Q: What’s the Best Toothpaste for My Child? A: Evaluating the many brands of oral products claiming to be “best for children” can be an overwhelming task. Selecting an appropriately sized toothbrush and a nourishing, cleansing brand of children’s toothpaste is of paramount importance for maintaining excellent oral health. Q: Does Your Child Grind His or Her Teeth at Night? Avoid stickiness – Sticky foods (like toffee) form plaque quickly and are extremely difficult to pry off the teeth. Drinks at bedtime – Sending a child to bed with a bottle or sippy cup is bad news. The milk, formula, juice, or sweetened water basically sits on the teeth all night – attacking enamel and maximizing the risk of cavities. Ensure the child has a last drink before bedtime, and then brush the teeth.